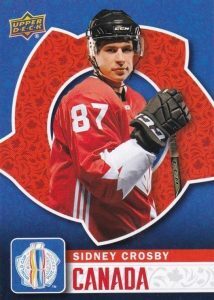 The World Cup of Hockey might not have the same level of recognition as the other World Cup, but card collectors now have an added incentive to keep track of the third edition of the international tournament thanks to 2016 Upper Deck World Cup of Hockey. Available through local card shops, each promo pack includes five cards. Documenting the eight-team competition, top hockey countries included are the United States, Canada, Russia, Czech Republic, Finland and Sweden. However, the groups are not all split by country as there are also teams for North America (23 and under) and Europe. The event begins with a group stage that narrows the field to the top four teams. The top two in each group then battle it out in the knockout stage to decide the final winner. Providing a moderate overview of the September tournament, 2016 Upper Deck World Cup of Hockey consists of 40 total base cards that are evenly split across the eight teams with five cards for each. Those interested in the many card possibilities can check out the full team rosters. There are also limited Printing Plates and Autographs to give collectors something to chase. 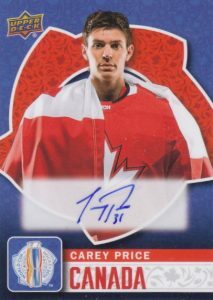 2016 Upper Deck World Cup of Hockey can be obtained at select hobby shops or through online retailers as a gift with purchase. 40 cards. Shop for complete base sets on eBay. I have alot of world cup of hockey sets i want to sell i have over 100 and I wanted to get your opinion on something.